Hello, Football fans! I have to admit it’s upsetting that there is only one more football game remaining! Oh, but what a game! In the 53rd edition of the Super Bowl, the AFC Champions New England Patriots take on the NFC Champions Los Angeles Rams. Bill Belichick vs. Sean McVay. Josh McDaniels vs. Wade Phillips. The veteran experienced Patriots vs. the young upstart Rams. Come on, let’s go! Are you done yet? I hear the outcry and boos already. I feel like I am a member of Maroon 5. A fascinating contest in which the Rams are getting 2.5 points with an over/under of 56.5 points. 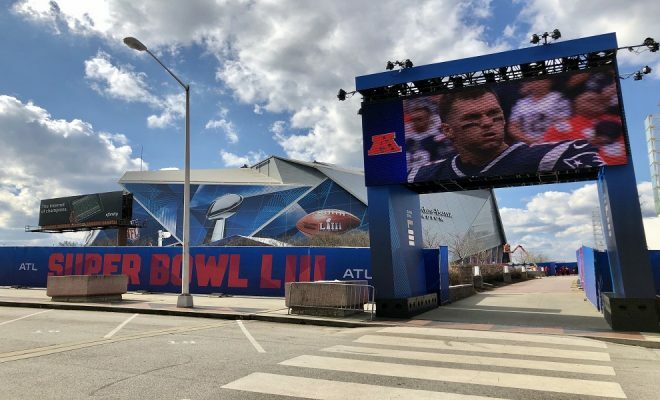 This Super Bowl is projected to set records on betting action in the U.S. Early betting action is supporting New England, and the Patriots will try to snap a recent streak that has seen underdogs win six of the last seven Super Bowls. 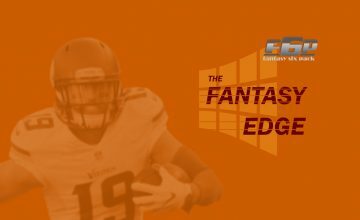 Last summer, the Fantasy Six Pack Staff started their coverage of the 2018 fantasy football season. As we researched and analyzed football players and NFL teams, we were able to provide in-depth analysis and hopefully some good advice for your fantasy football rosters. 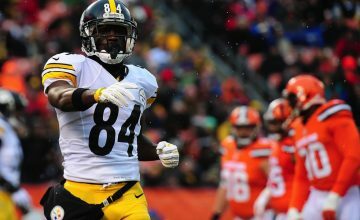 Speaking of fantasy football, for those of us who can’t stop playing fantasy football and don’t want it to end, take a look at our 2019 Fantasy Football Super Bowl Rankings to feed your fantasy hunger and hopefully win your fantasy contests. We will now tackle our Super Bowl Predictions with the same passion and analysis. Let’s discover who the members of the Fantasy Six Pack Staff pick to win the Super Bowl and why. In the first episode of The Fantasy Six Pack Hour Podcast this year hosts Joe Bond and A.J. Applegarth start off the show with their Super Bowl analysis and predictions. Take a listen and find out who the guys believe will take home The Lombardi Trophy. Richard Savill and Kevin Huo provide in-depth analysis in their The Fantasy Edge Super Bowl LIII Special. This includes discussing the Top 20 Prop bets for Super Bowl LIII and the odds on who will win the Super Bowl MVP while even taking a peak into next season. I think this game is going to be super close all the way through. The last time these two faced off it was a late game Tom Brady drive, capped off by a field goal to win the game. I think we see history repeat itself, 17 years later, and the Pats take down the Rams again in the Super Bowl. Hard to go against Tom Brady here but this has been won by a quarterback 29 times overall and nine out of the last 12 Super Bowls. It’s the chalk pick, but its also the smart pick, especially given how I’m predicting Brady to lead the Pats to yet another Super Bowl winning drive. Aaron Donald. He collects 3.5 sacks, one pass deflection, one FF, AND the game-winning TD as an eligible receiver. This game is going to come down to which team’s defense can step up and win the game. We know both offenses are good, but they’re not flawless and Sean McVay and Bill Belichick certainly know that. I expect Belichick to bring plenty of blitzes plays all game due to how poor Jared Goff plays against a blitz. If Todd Gurley is healthy, the Rams will more than likely be using him for some short throws out of the backfield. As for the Patriots’ offense, it comes down to their offensive line versus Aaron Donald and the defensive line. Tom Brady has yet to be sacked in two playoff games, but Aaron Donald certainly presents a bigger challenge. However, I think the Pats’ o-line wins this important battle. I think the game will come down to a Rams turnover in the final minute. Tom Brady does it again. My mind says take Pats to win, but my gut and heart say Rams. So if the Rams win, odds are extremely low of a Pat being an MVP. But it feels like its going to be someone from the field. I’ll take Greg the Leg to be MVP, who maybe kicks a 50-yarder to give the Rams the key differential? Suh, Donald, and Fowler finally do what no other team has been able to do-pressure Brady! Todd Gurley. He wins MVP after taking the last two weeks to get healthy & scores two touchdowns. Patriots’ offense is as balanced as ever with a three-headed attack of Michel, White and Burkhead complimented by Gronk and Edelman who are proven producers in big games. Belichick will try his hardest to take Gurley and Anderson away and force Goff to win it by throwing 50+ times and I don’t think he has it in him yet. In his three career playoff games, he’s only thrown two touchdowns and hasn’t had a big moment yet. Tom Brady. Brady takes the MVP in his sixth Super Bowl victory since 2002. 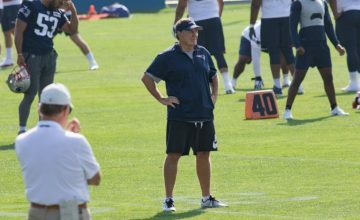 Bill Belichick will force Goff to throw by putting full focus on stopping Todd Gurley. Nick Foles plays well in big game, whereas Jared Goff is young enough that Belichick can throw confusing defensive looks to force Goff into mistakes or low yardage check downs. Teams have shown success in double-teaming Aaron Donald, so Tom Brady should have plenty of opportunities for big plays with Julian Edelman on the receiving end throughout the game. Watch out for Gronkowski to come to life. There are two keys to this game. One is the amount of pressure that the Rams can get on Brady using their front four. Brady has only been hit three times in two playoff games. If the Rams can’t get to Brady, he will dink and dunk down the field and to another championship. The second key to this game is the play of Rams quarterback Jared Goff. The Patriots always take away what the offense does the best. The Rams love to run the ball and Coach Bill will take away the running game of Todd Gurley and Mike Anderson. This will leave the game up to Jared Goff, who has been underwhelming during this playoff run. Sean McVay will design an offensive game plan that will assist Goff in not having to do too much, however, the Rams will be in comeback mode throughout most of the game. The Rams do mount a comeback late in the contest to force overtime, but Patriots win it in OT behind Brady and take home their sixth Lombardi Trophy. Tom Brady. The Patriots win the coin toss in OT and Brady leads the offense down the field for the game-winning touchdown and collects his sixth championship. Hopefully, this Super Bowl will be just as thrilling as the last two Super Bowls. There is nothing like a great football game, getting your predictions correct, and maybe even winning some money on one of the million crazy bets out there or even win on your squares. 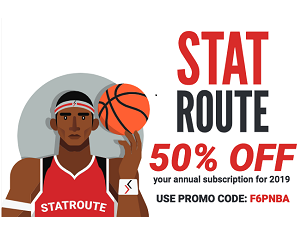 Once the thrill of the game has gone away, why don’t you take the time to get yourself started on your fantasy baseball research? There is no better way to get started than our 2019 Fantasy Baseball Rankings and discover what we believe is the Best Fantasy Baseball Resources as you prepare for your fantasy baseball drafts.